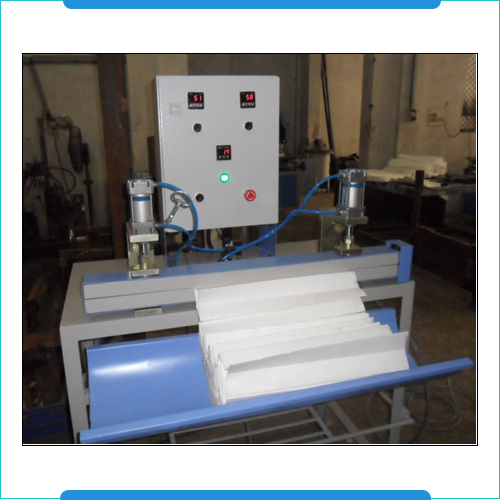 Home » Metal Free Filter Manufacturing Machines. 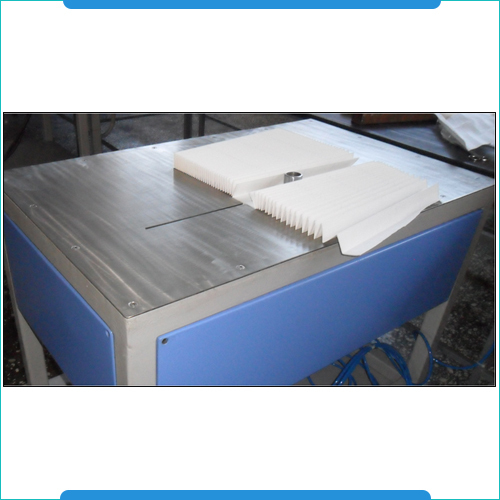 Rotary Pleating Machines are of embossing type and are designed for achieving high speed production. These machines are designed to precision handle the demands of producing pleats in a wide range of widths as well as depth options. As best suited machines, these Rotary Pleating machines are specially suited for places where there is requirement of bulk production of single specific pleat depth and filter size. Here, the pleats of different sizes can be developed through changing set of pleating rollers. Further, the use of different size rollers are also used for coming up with pleats of different pleat sizes. 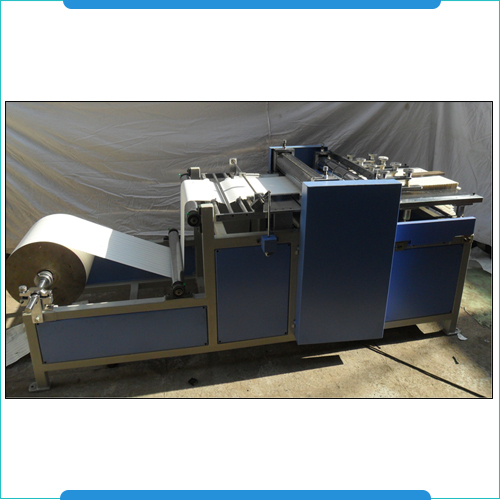 The equipment comes with automatic pre-slitting, electric heating system, pleating system as well as counter system so as to ensure in them optimum functionality support. Curing Oven offered are designed to keep the requirements of energy usage to a minimum through delivering in the ovens optimally designed insulation system for all hot surfaces like ductworks as well as fans. With the construction standards of these ovens matching up with those followed internationally, these find application in diverse industry sectors where there is a requirement of managing close control of temperatures as well as humidity levels during involved production process. 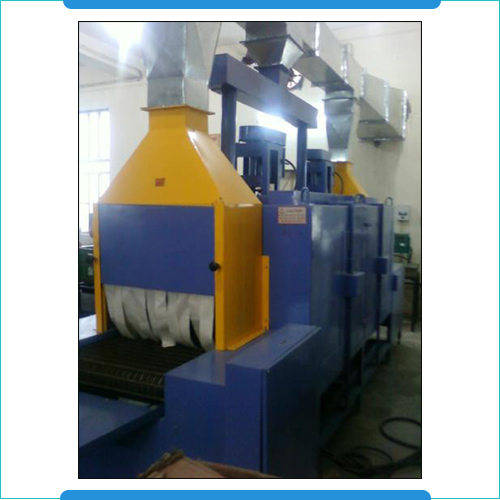 The application of these curing ovens are to cure composite materials as well as coatings where the process assists in toughening/hardening polymer material through managing cross linking of polymer chains. Some application areas include Carbon Composites, Composites curing, Epoxy curing, Polymer curing, Polyurethane Foam curing and others. 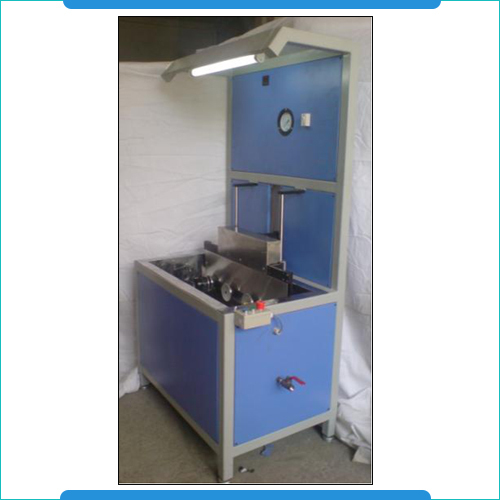 Hot Melt Sealing Machines offered are latest technology based hot melt process based sealing machines that typically find application in meeting the demands of sealing boxes as well as cases on assembly line. These sealers make use of hot melt glue and can be offered in different functional specification choices so as to perfectly fit with the requirements of the customers. Here, these are offered in both semi-automatic and fully automatic options where these can handle random as well as uniform box sizes. We can also customize its functional parameters so as to best match with the exact process application needs of our customers. Cap Pressing Unit offered find application for pressing over caps, lids and home snap-on closures onto different packaging available in form of jars, cans and bottles. These caps can be machine placed while container is travelling on conveyor, thus also eliminating possibility of injuries. Further, the adjustment that need to be done between container sizes also takes very less time through angular adjustment that compensates for different cap pressing heights. Further, the presence of variable speed drives also makes these easily synchronized as per the existing conveyors as well as belt drive mechanism present at client end. Providing for positive functional control & guidance, these work by gently pressing cap on the container necks without any generation of shock force. We make these units made available in different functional versions for handling capping needs of different size of containers. 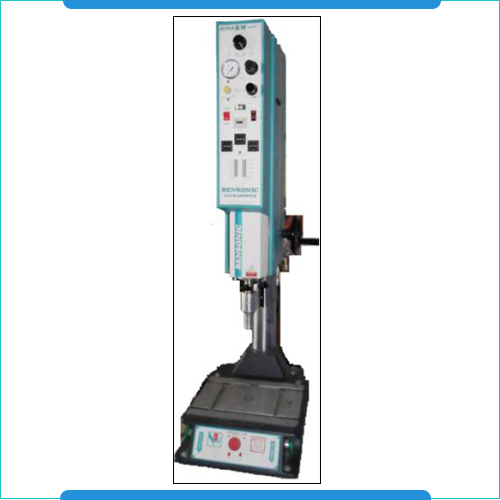 Ultrasonic Welding Machine offered finds usage as a part of assembly process engaged in mass production of wide range of quality products. These mainly find application for meeting the welding demands of thermoplastic resins that can be present in different range and shapes as per the specific end usage requirements in different industry sectors. The precision functioning of these Ultrasonic Welding Systems assists in efficiently controlling 50Hz electric input to 15/20/30/KHz electric energy that helps in transforming electrical energy into mechanical vibratory energy which is then delivered to work piece using acoustic tool for generating localized heat under pressure conditions. This frictional heat results in melting of the part interface and fuse, thus helping in achieving a strong molecular bond. Some of the industry sectors where these are extensively used in include electronic and engineering industry. 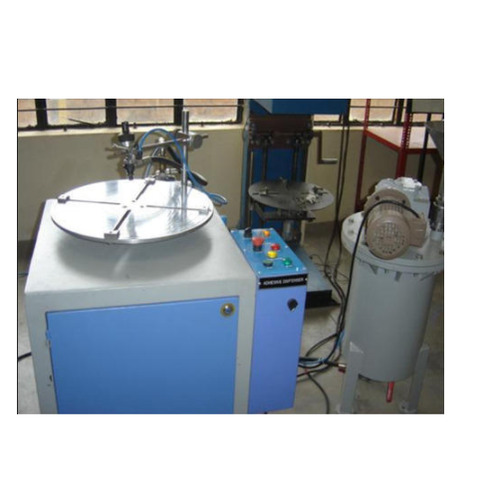 Leak Testing Machine offered are also referred as pressure testing/vacuum testing machines and are well recognized for delivering precision functionality support in given applications. Backed by our rich process and product knowledge as well as expertise gained in the field, we are able to provide vital assistance to customers in specifying acceptable leakage rate, leak limit and based on this we can design and supply leak test machine so as to match up with their exact test process requirements. The system can be based on different forms of leak test procedures from basic submersing of test object under water and watching for leak location as well as in form of highly accurate helium leak testing that is generally used for checking very tight leak limits. Here, we ensure of providing best possible solution support to suit clients specific application needs.